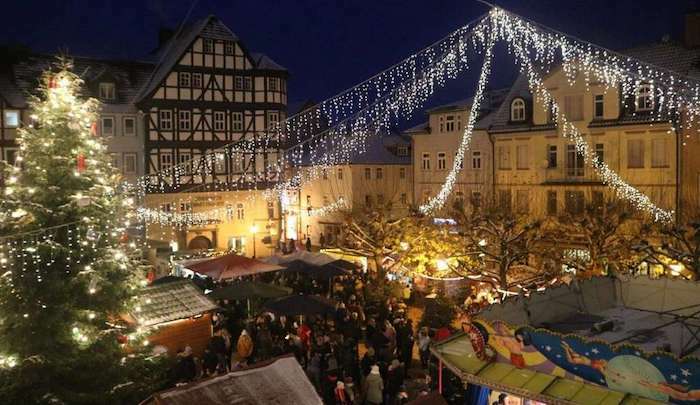 A 38-year-old man has been arrested on Saturday after threatening people at a Christmas market in Witzenhausen, Germany. Around 8:30 pm the police received several phone calls about a man with a hatchet walking along the pavement in the direction of the local Christmas market. After arriving, the man brandished the hatchet and repeatedly shouted “Allahu Akbar”. Numerous people left the Christmas market having been threatened by the aggressive man. According to police the man is a 38-year-old foreign citizen from Bornhagen, who was heavily intoxicated. Fortunately, he didn’t injure anyone…. The aggressive perpetrator was later arrested in the pedestrian zone.